During the winter, you need to be aware of the risk that is involved with the pipes in your home freezing. Because water expands as it freezes, it can cause your pipes to burst and leave you with a great deal of property damage. Luckily, there are several steps you can take in the winter to avoid this issue. Randall’s Plumbing is here to help you avoid the mess that can be caused by pipes freezing this winter. The first and possibly most important rule is to keep your heat on. You don’t have to leave it on high, but not allowing your home to reach a low temperature will do wonders for protecting your pipes against freezing. 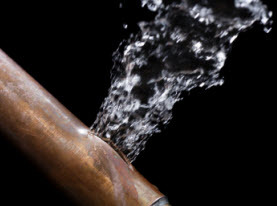 Some homeowners don’t like the idea of wasting energy and money to keep the heat on when they are away, but this could end up saving you thousands as you avoid property damage due to a pipe burst. The ideal temperature for your home while you are away is 50 degrees. This will be just enough to give your home the protection it needs. 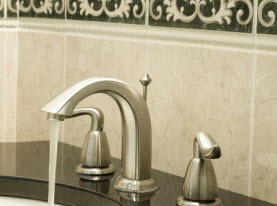 If there is a particularly cold night that is leaving you with worry, you can let your faucet slowly drip to help protect your plumbing. Just the act of keeping the faucet open enough to allow a drip to come out will release just enough pressure in your pipes. It’s this pressure that causes the pipes to burst when the water freezes. Also, the movement of the water will help keep it from freezing as well. 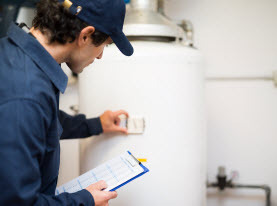 Your pipes are often found in cabinets or closets and it is best to keep these doors open to avoid frozen pipes. The heat that flows through the space when the door is allowed to stay open will be just enough to keep your pipes safe from freezing. You can see areas where you pipes run into your house. If there are any cracks or holes in these areas, you need to fill them in. This can be done with caulking as well as insulation to avoid cold air making its way in and around the pipes. If there was a way to lay an electric heating blanket on your pipes to protect them, would you do it? If the answer is yes, you may want to look into heating tape. It wraps around your pipes and gives them the heat they need to stay warm and not freeze. There are some brands that turn on and off by themselves and others that have to be plugged in to work. If you are dealing with frozen pipes, you need a professional plumber by your side. At Randall’s Plumbing, we can help you solve your frozen pipe problems and help you avoid them in the future. Call us today!